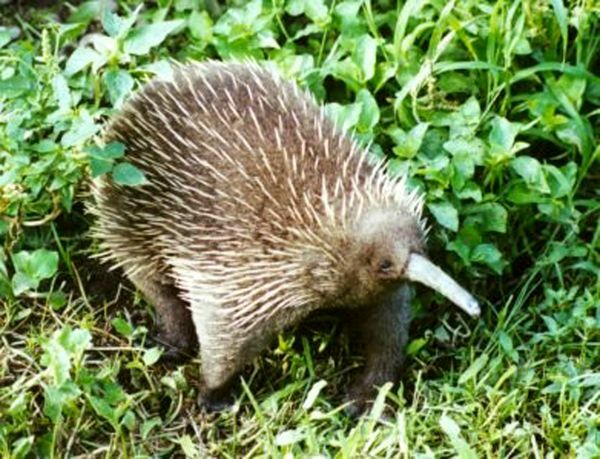 If you walk through the Australian countryside and see what looks like a wire brush stuck in an ants’ nest, it may be an echidna having a snack. The echidna (above) and the platypus are the only mammals in the world that lay eggs. And if the echidna (pronounced ik-KID-na) regards you as a danger, it will abandon its meal of ants or termites, roll into a spiky ball, or wedge itself into a crack, or rapidly burrow straight into the soil until only its sharp spines are exposed. This gives it excellent protection from almost anyone who doesn’t have a shovel to dig it out. While it is obvious that the hedgehog-like echidna, also known as the spiny anteater, looks nothing like the water-loving platypus (which has a bill like a duck, a tail like a beaver, webbed feet, and soft velvety fur), the echidna and platypus share one unique feature — they are the only mammals in the world that lay eggs. All other mammals known give birth to live young. This has led to the classification of the echidna and platypus in a separate scientific category known as the monotremes (which means they have a single opening for the digestive and genitial organs). Monotremes are a scientific puzzle if you are an evolutionist. They are clearly mammals because they have milk glands, hair, a large brain, and a complete diaphragm. 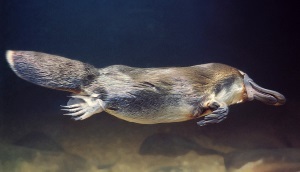 Yet they also resemble reptiles and birds in that they lay eggs, their blood temperature is influenced to some extent by their surroundings (as is reptiles’), and the platypus’ bill is like a duck’s. What on earth could the echidna and platypus have evolved from? They don’t know what those mammal-like reptiles could have been, as no ‘mammal-like reptile’ comes close to looking like a possible common ancestor for either the echidna or platypus. Echidnas and platypuses are so unique in their biology, life-style, and habitat compared to other mammals, reptiles, and birds, that there is no reason other than an evolutionary bias to think that their ancestors were significantly different to today’ monotremes. 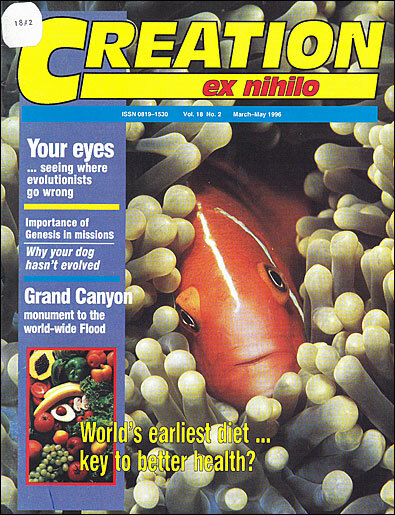 As there is no evidence from fossils or anywhere else to indicate that echidnas and platypuses have evolved from non-monotremes, it is surely more logical to deduce that they have never evolved at all, but that God created them as egg-laying echidnas and platypuses right from the beginning — as Genesis implies. Encyclopaedia Britannica, 1992, Vol.23, p. 356. Return to text. ibid, Vol.8, p. 266. There is of course no indisputable evidence that other mammals came from the so-called mammal-like reptiles either. Return to text.